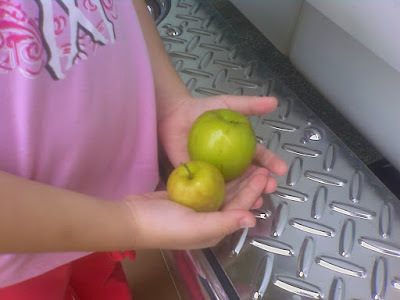 A Family and A Fistful of Coupons: Is this an Apple Tree? Is this an Apple Tree? My wife's sister-in-law gave her this plant a while back and told her that it was an apple tree. I could not believe it. 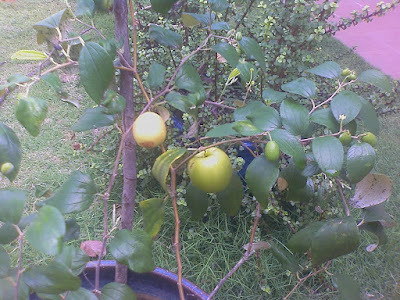 Apple trees don't grow in Malaysia right? They need a more temperate type of climate right? 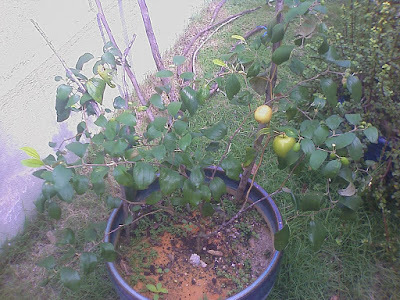 Anyway, it has been more than 4 months and the plant had started to fruit. The fruits sure looked like apples. My kids were pretty excited and could not wait to eat them. The taste was a bit sweet and tangy. The texture felt like apple. In the end, what I think gave away the "apple" was the seed. There was only a single seed and it was definitely too big when compared to the apple that we normally buy from the supermarkets.